The answer to your question is... nothing is better! :) Have a great weekend! Can I please have your perfect Saturday morning?! 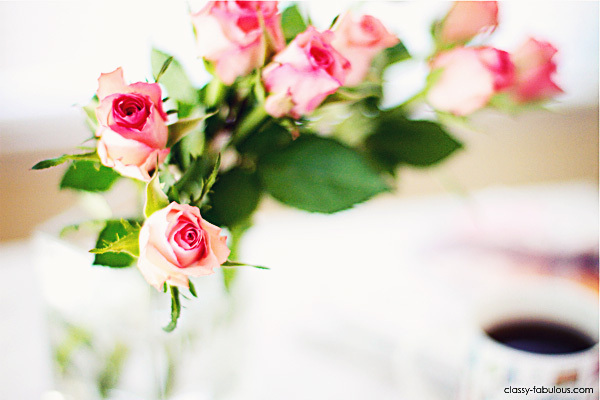 I have the cup of coffee down...as for the macaroons, fash mags, and fresh flowers haha. i agree :) and photos are so beautiful! 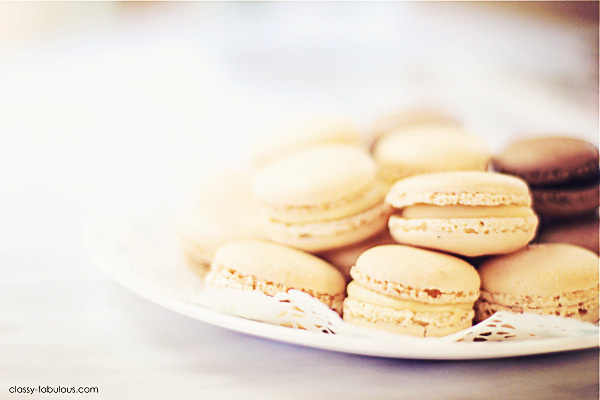 Oy, I love macarons and these pictures are beautiful! What camera/lens do you use? Sounds like a wondrous weekend! Nothing better than good reads and delectable treats. BTW, I'm having a giveaway on my blog and I would really love it if you entered!!! I love this post, there's nothing I love more than shots of macaroons and fashion mags. You just made my night. great pictures! !,, you are amazing!! great photos! I'm loving your macaroons! Thank you! Have a nice weekend:) Oh, my stomach forbid my eyes to see such a beaute! I used to call my blog like yours..
Then I changed it to something more personal..but I kept the same quota that Chanel said. 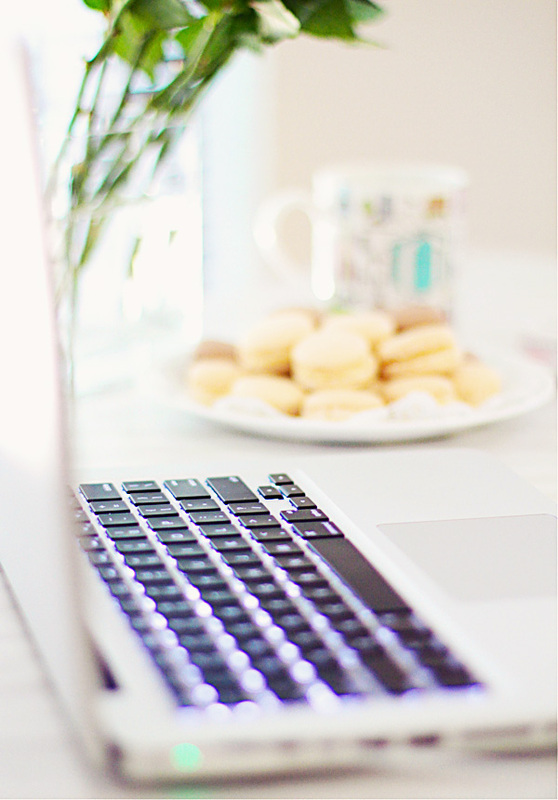 Your blog is a great inspiration.. I love those shots! amazing pictures! beautiful pictures they inspire me! You know that I've never tried macarons? Shame on me!! They look really yummy! Hi Dear!! !Thanks for your comment on my blog...sure,we can follow each other...I follow you and I hope you folloe me back!!! That sounds like the perfect start to a weekend! Действительно - идиллия!... Ммм, пахнет Францией и душевной легкостью! Oh yes, the answer to your question is: nothing is better! Can we ask for more? I actually never had macarons! :( It's sad. This looks so beautiful! I think I already told you before that you are a talented photographer! What a perfect start to the weekend! Yummy! I must say, I really like your blog. I just found it and I'm following you from now on. Wow, these pictures are great! May I ask what camera do you use to take such beautiful pics? That sounds absolutely delight, El. I wish I could have such relaxing moments. Beautiful photos. OH! u are like your blog name - classy and fabulous! on top of being beautiful and chic... following u! To those who asked what camera I use for taking the pictures is Canon EOS 7D. oh macaroons! 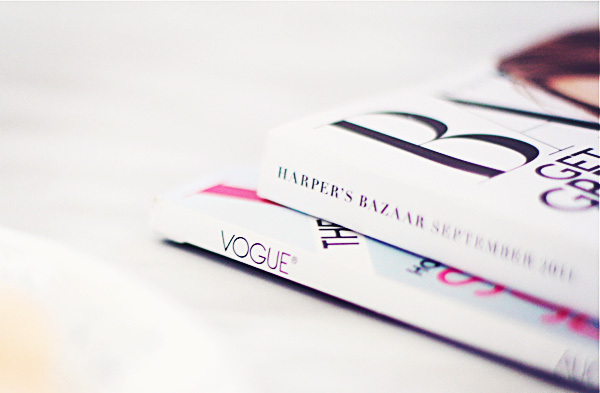 fashion magazines! nothing can be better!